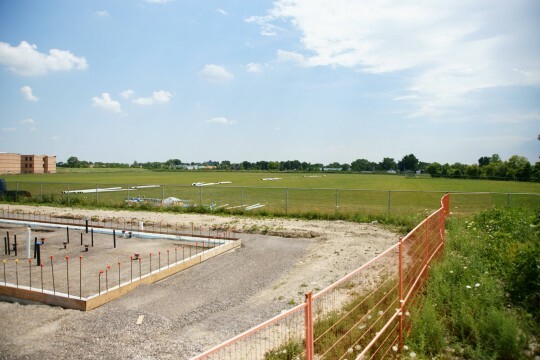 On McHugh Street near the WFCU Centre, a new soccer/sports field is in the process of being created. The McHugh Park Soccer Complex is a new sports park that will include a special dressing room building, clubhouse, and public washrooms. The field will also be lit for evening soccer games. Archon Architect designed the complex including the field layout and the attached buildings. The John Atkinson Memorial Community Centre on Alice Street, named for the police constable who was murdered in spring 2006, will be updated to include a new sports gym. The new gym, measuring 118 feet long and 84 feet wide will be comprised of a ‘sprung’ wooden floor, change rooms and washrooms, and space for spectators. DeAngelis Construction designed and is building the new facility.